To get to know this stretch of mountains, you could hike some of its 2,500 miles of trail, or drive on its 1,900 miles of roads. Or you could ponder its history, which reflects Colorado’s settling, when narrow-gauge railroads ran in and out of mining regions in the 19th century, bringing food in and minerals out, while timber-choppers relentlessly sliced through forest cover. Or you might think of this place in terms of its conservation history, part of a vast system of forests established throughout the Progressive Era. But perhaps the best way to know a place like this is to see it through the eyes of a good writer. 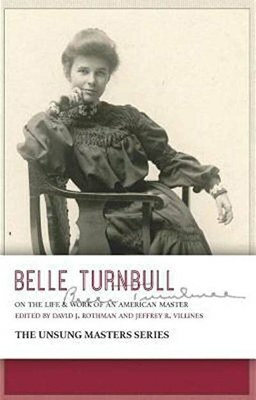 Thanks to the publication of a new book, Belle Turnbull: On the Life and Work of an American Master, we can turn to a nearly forgotten Colorado poet for insight and inspiration. Born in Hamilton, New York 1881, 10 years before the White River Reserve was created, the Vassar-educated Turnbull taught English at Colorado Springs High School from 1910 to 1936. She and her companion, the novelist Helen Rich, then moved to Frisco for two years and on to Breckenridge, settling into a log cabin with windows that looked out onto the Tenmile Range from 1939 to Belle’s death in 1970. No other Colorado writer so authentically lets “the poetry take the poet where it wants, the way mountain weather does,” writes George Sibley in one of several outstanding essays this volume includes. 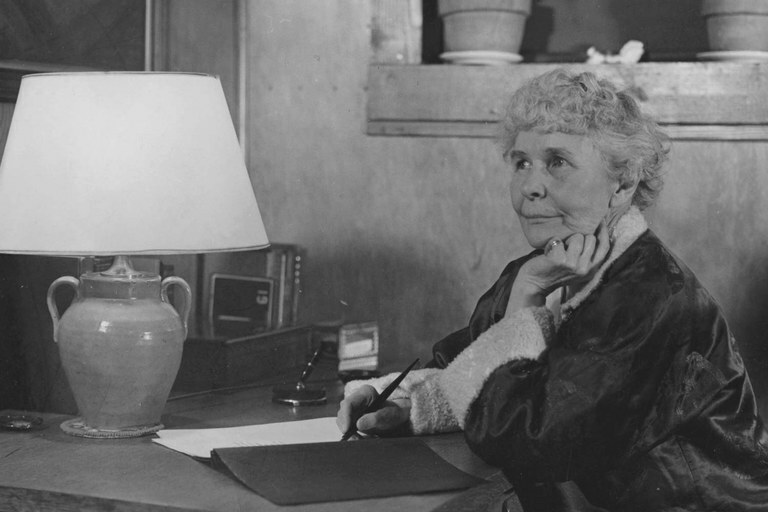 Belle Turnbull, in her later years, sitting at her desk. Turnbull was an Easterner, enchanted by the mountains of Colorado, who made a home in the high country. Her work is exact, her imagery vivid. Through it, we find a way into the mountains — and a way home. How little, how long? Whisper if flawless, dare we? Know this for ours, and the amber word still spoken. Self dissolve on a breath, this house is now. Greg Hobbs, a former Justice of the Colorado Supreme Court, co-directs DU Law School’s Environment and Natural Resources Program. His published poetry books include Colorado, Mother of Rivers: Water Poems.